Moving into a new home brings with it a lot of emotions, particularly for families moving with children. Excitement and enthusiasm are coupled with anxiety and apprehension as to whether children will take to the new home and neighborhood. Carefully preparing children for the move, both practically and psychologically, will help ease the transition and make the process smoother and more enjoyable for the entire family. 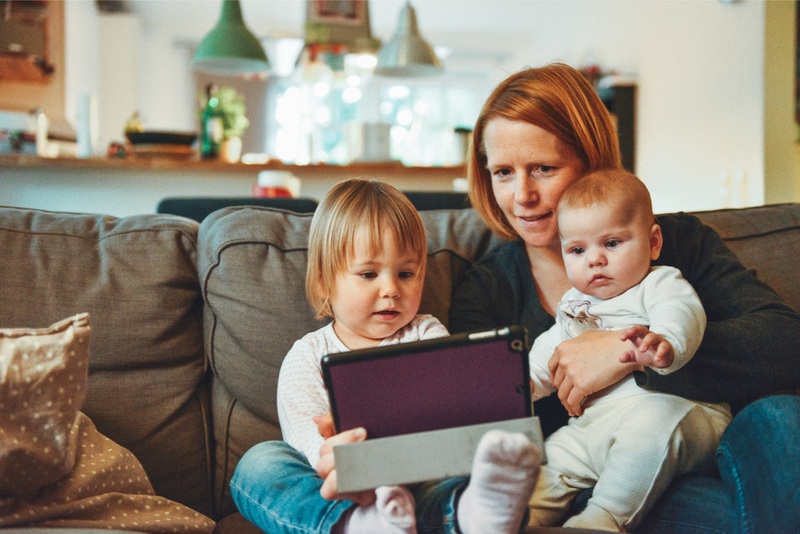 We have been helping families make successful moves for a long time as mothers ourselves we can offer the following advice on how to make sure children of all ages cope with the home buying process and the big move. Communicate. Maintain an open dialogue with children about the decision to move to a new house. Engaging them at the beginning of the process will give them time to get used to the idea and ultimately accept the change. Explain the reasons behind the move, and answer questions truthfully. However, early discussion does not mean it is necessary to bring them to every single home being considered, especially very young children. Once the choices have been narrowed down to perhaps two or three, bring them to the homes so they can begin to feel familiar with new surroundings. Listen. Listening to what children are saying about the move is just as important as talking to them about it. By paying close attention to their statements and reactions, parents can alleviate any fears. This is especially important for school-age children and teenagers who may be reluctant to leave their friends and classmates. Avoid being dismissive of their social concerns; acknowledge them and remind them about the new opportunities that await them. Focusing on the positives of the move may help settle down anxious children. Explore. After deciding on a new home, we can help your family discover your new neighborhood. We can point out the playgrounds, community centers, recreation areas preschools and other areas and activities important to the children and help make the environment seem more familiar. Make an appointment to tour their new school so on the first day it will be more familiar. Comfort. Pack up the children’s rooms last to minimize disruption. The longer they feel secure in their own rooms, the easier the transition will be. In fact, in the last days of the moving process send them to a family friend or for an overnight with the grandparents. Once you have moved, set up their new bedrooms first so they feel like they’re back in familiar surroundings. And do not completely redecorate the children’s rooms in the new home; maintain continuity so the children feel secure. It is very important to return to normal routines as quickly as possible, so set up the kitchen second. Try to serve meals at the same times as before, so there is not too much change all at once. Engage. Show the children all of the other rooms in the new home and let them participate to a degree in decorating decision-making. By accepting input on decoration, parents will make their children feel like they are part of the process. Surprise. Arrange for special treats to be waiting for everyone at the new house. New games, new cuddly friends or new play structure already installed will keep the children busy during unpacking and make the first memory of the new house a pleasant one. Let's talk about other ways we can make the transition a smooth one for every member of the family. We also have great advice on how to transition the furry member of the family - your dog or cat!